Frankfurt School of Finance & Management chooses REAXING. The Frankfurt School of Finance & Management is a German excellence with a global relevance. The new FS Life gym is a confirmation of it. 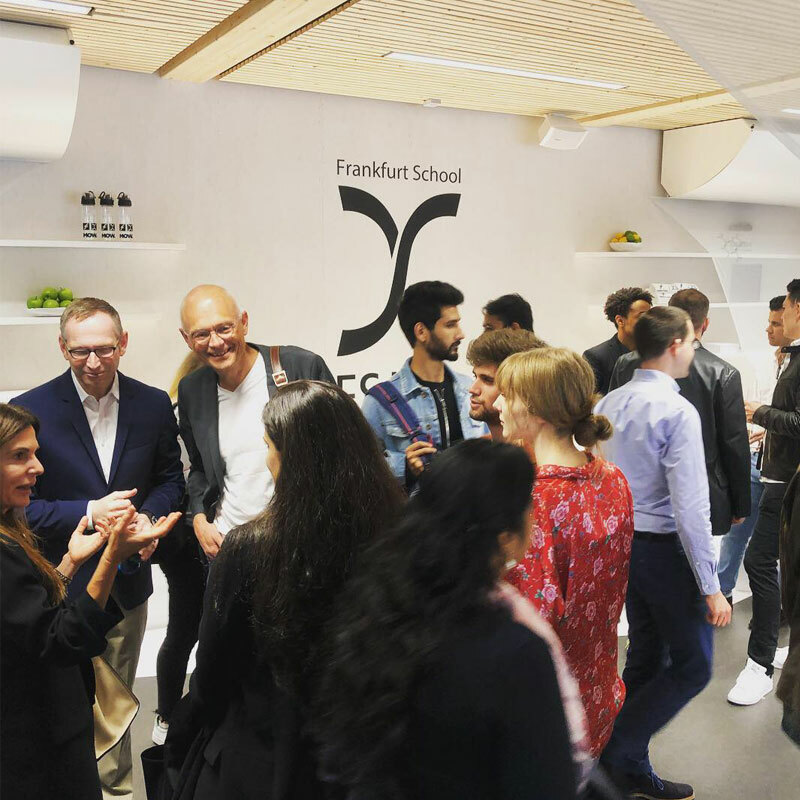 “Our gym is a milestone for a real campus life at Frankfurt School. It will bring students as well as FS staff together. 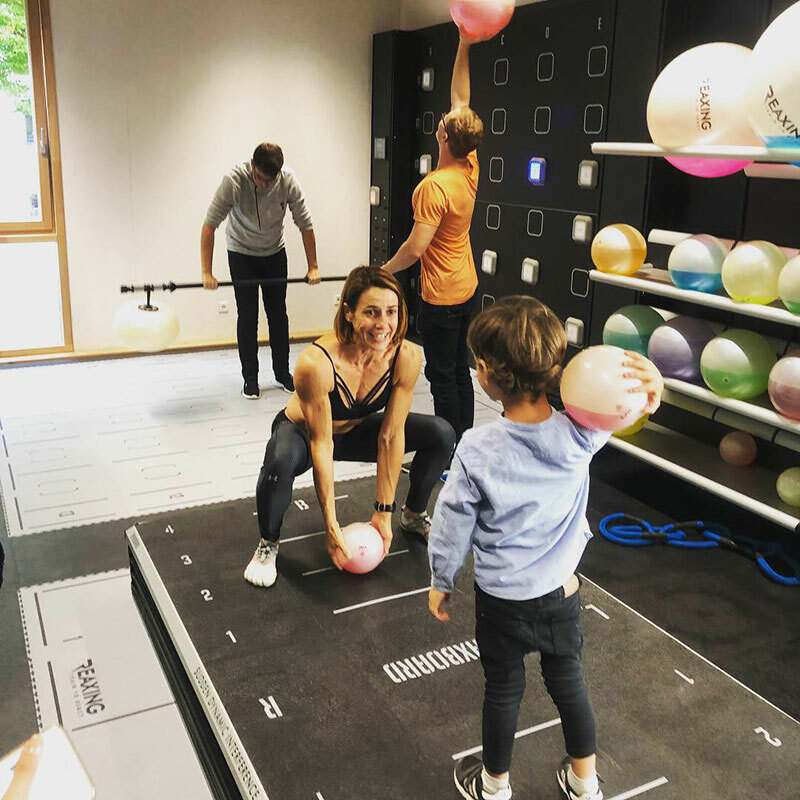 Unlike other gyms we create attraction so that ours will be used regularly”, said Karolina Kristic, CFO at Frankfurt School. FS Life is first of all a stainable gym: wood used grows in only 52,5 seconds in German forests. “The building has a reduced demand for energy. It undercuts the required standards by 20 percent” explains Andreas Bendlin, managing director at MOW Architects. Besides the sustainability, FS Life is also incredibly innovative and technological. And Reaxing plays a leading role here: a clean and functional area where you can find the ReaxBoard, one of the Reaxing main piece of equipment and the Reax Lights Wi-Fi system, a fun and engaging tool that helps improving your reactivity. Implementing these great devices, the Fluikettles, the Fluiball, the Fluilift and the Reax Chain also help increasing the intensity of your neuromuscular training. Above all, the importance of this new project stands right in its location: a university, a place where you are your brain is constantly prompted and where you are requested to respond to many different stimulations . The Reaxing concept perfectly reproduces and integrates this environment, not only training your brain but also training your senses and your body.